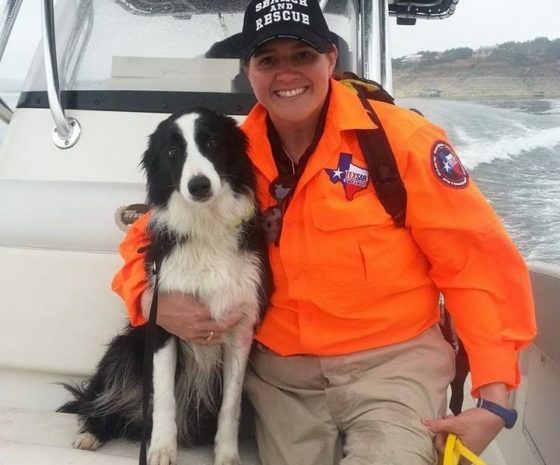 TEXSAR is an all-volunteer search and rescue team. Our members come together from across the state to help communities in their time of need. Our members come to us from all walks of life and are brought together by a common purpose. That purpose is to serve our communities and our state by providing requesting agencies with a highly trained, autonomous search and rescue team. TEXSAR has grown to be the largest wildland search and rescue organization in the State of Texas, but that growth has never come at the expense of the quality of the services we provide. Our searchers may all be volunteers, but they are held to the highest standards and train year round so that they are ready when the next call comes. We are always looking for new members to join the team. No previous search and rescue experience is required. TEXSAR will help you get training and make sure you are fully qualified before your first deployment with the team. If you are passionate about helping your community and would like to be a part of a team of like-minded individuals, we urge you to come checkout one of our meetings to see if TEXSAR is the right place for you to serve. If you are ready to join the team, we encourage you to review the TEXSAR requirements, visit a local meeting (event calendar), and complete the online Membership Application. Our Membership Team will review your application and reach out to you with information about the next steps in the process. Questions from Other Prospective Members. What roles are available for members in TEXSAR? How much time will membership take? Although we are all volunteers, the professionalism demanded by our mission requires a substantial time commitment. We hold training meetings twice a month. You can find the meeting schedule on our team calendar page. Members are expected to attend at least 50% of training meetings. Our training meetings are fun and informative, and most members really enjoy the camaraderie in getting together. TEXSAR has numerous opportunities for field training. Our members enjoy gaining and maintaining skills at these events. Most members participate in field training exercises several weekends per year and all members are very comfortable in the outdoors. Some specialties, such as paramedics or K-9 teams, require far more training time than more general specialties such as basic ground search. For example, K-9s typically train intensively for one to two years before becoming field deployable, and continue to train 2-3 times a week throughout their working lives. TEXSAR participates in a number of community events, fairs, and festivals throughout the year. These events allow us to spread the word about TEXSAR and provide a great opportunity to help educate the public about outdoor safety and search and rescue. While other time commitments are interesting, most of our members live for deployments. Nothing compares to the opportunity to use one’s skills to potentially save or restore a life. We are asked to deploy approximately twelve times a year. TEXSAR is different than other SAR organizations in that we have notice of several days or weeks in advance for more than half of our deployments, which significantly eases the strain associated with these call-outs. Examples of deployments with advance notice include emergency management roles for pre-planned events such as sports competitions or law enforcement searches, as well as deploying to foreseeable disasters such as hurricanes or wildfires. That said, deployments often happen at night, in bad weather, over considerable distances. Although you are not expected to respond to every call-out, you will be on call 24/7. Often, responding to calls requires making arrangements with employers and families in advance. Deployment requires mental and emotional stamina and physical fitness. If you are field deployable you will need to take time to maintain basic fitness, including the ability to hike two miles with a pack in 40 minutes. A criminal history that indicates you have been convicted of a felony offense, criminal fraud, or a crime of moral turpitude. The TEXSAR board may also require additional information and/or fingerprints in some cases. If required, you will be notified and given instructions on how to complete this process. The new membership fee is $100 for the first year* (please see new membership dues structure effective 01/01/19). This pays for required background checks and basic administrative maintenance. Additionally, members pay for their own clothing, personal protective equipment (PPE), personal gear, and training. Thanks to generous donations and TEXSAR’s own fundraising efforts, we are able to provide training at significantly reduced cost and are able to subsidize some costs associated with callouts. Free lodging and some meals may also be provided during extended callouts. Despite these advantages, you can expect to spend several hundred dollars a year in fees, meals, training, and personal gear. Highly technical specialties, such as K-9 teams, may experience significantly higher costs. All TEXSAR members are required to complete a series of basic training modules from the National Incident Management System (NIMS) before they can participate in active deployments. This helps us ensure that everyone involved in a deployment is aware of and ready to be a part of the Incident Management System. Additional skills training, such as Ground Search and Rescue, will be coordinated through TEXSAR. All field-deployable members are expected to maintain a Basic 12-hour field pack with the items listed below. If you don’t already have all of the items on the list, please wait until joining before making any purchases. Our team can provide a lot of helpful suggestions on gear and where to purchase it. The next step is to come to a regularly scheduled training meeting and meet the team. Most new members come to a few meetings and ask a few questions before formally applying to join TEXSAR. Membership requires an application, waiver of liability, consent to release information, and an online payment or personal check for initial dues of $100. Please see our membership application for further requirements and disqualifications for membership.